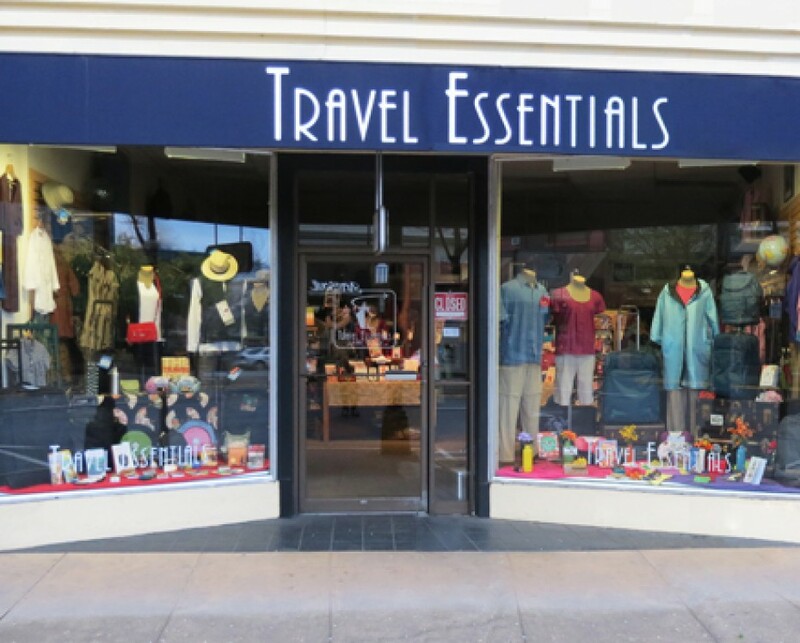 Travel Essentials is a family-owned retailer specializing in top-quality luggage and travel accessories. We have been in business since 1994 in downtown Ashland, Oregon, home of the internationally renowned Oregon Shakespeare Festival. Click to meet the fabulous Travel Essentials team. Travel Essentials is open Monday - Saturday from 10 to 5:30 and Sunday from 11 to 5. I wouldn’t really call myself a “car person.” I don’t know much about Teslas, I don’t understand the difference between a V6 and a V8 (tomato juice? ), and I am perfectly happy to ride in our minivan instead of our fancier Audi. That being said however, I don’t want to be driving around in a jalopy. And when I was in high school, I did own a classic German automobile. It was a snazzy 1977 red convertible Volkswagen Bug (those were the days). So when Bob suggested we visit the Mercedes-Benz showroom on our recent trip to Berlin, I was game. Spend a few minutes looking at fancy cars? Why not? Little did I know the showroom was three huge floors, with climbing walls, a restaurant, a coffee bar, and even a kids’ miniature race course. The Mercedes-Benz showroom is indeed a car dealership, as there were people negotiating deals while we visited, but also a museum with stunning works of art, albeit mechanical ones. Cars range in price, with the least expensive (A and C class, apparently) on the lower levels, and the most expensive at the top. There are classic cars on display, and cars for sale priced in the 200,000 euro neighborhood. Cars hang suspended from the ceiling, and as you climb floors on the neon lit escalators you can soak in all the money that went into this extravaganza. It’s pretty fascinating actually. I guess it’s easier to sell really expensive cars when your showroom is a destination all by itself. We appeared to be two of the only gawkers that day. Everyone else looked like they were working—trying to sell cars (although they never approached us, huh? ), or buying. Then there was a birthday party going on at the race course, which features stoplights, a track with sharp turns, and Mercedes Benz bumper cars. Oh to be young. Bob and I did have a conversation about what car we would buy if we were seriously shopping. He leans toward a Mercedes S class in a black matte finish, reminiscent of the Batmobile. I, on the other hand, see myself in a vintage baby blue Mercedes convertible, driving down the open road, radio blaring, with nary a care in the world. I’m pretty sure I don’t have grey hair in this scenario either. It turns out I might just be a car person after all.